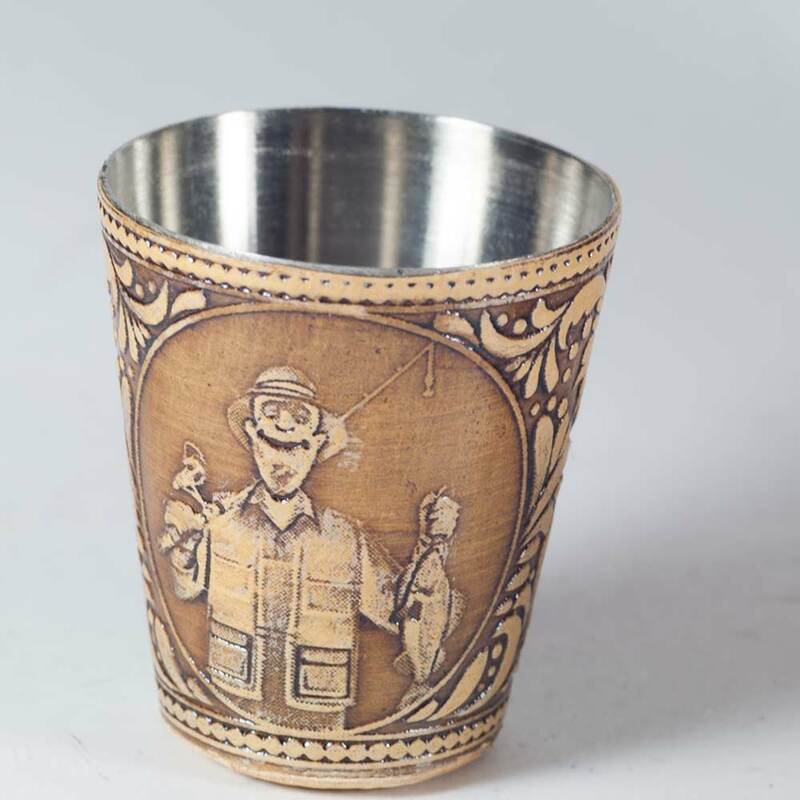 Set of 4 Shot Glasses with Case "Fisherman" is a set of small shot glasses (volume 45 ml) with case which are decorated with birch bark. 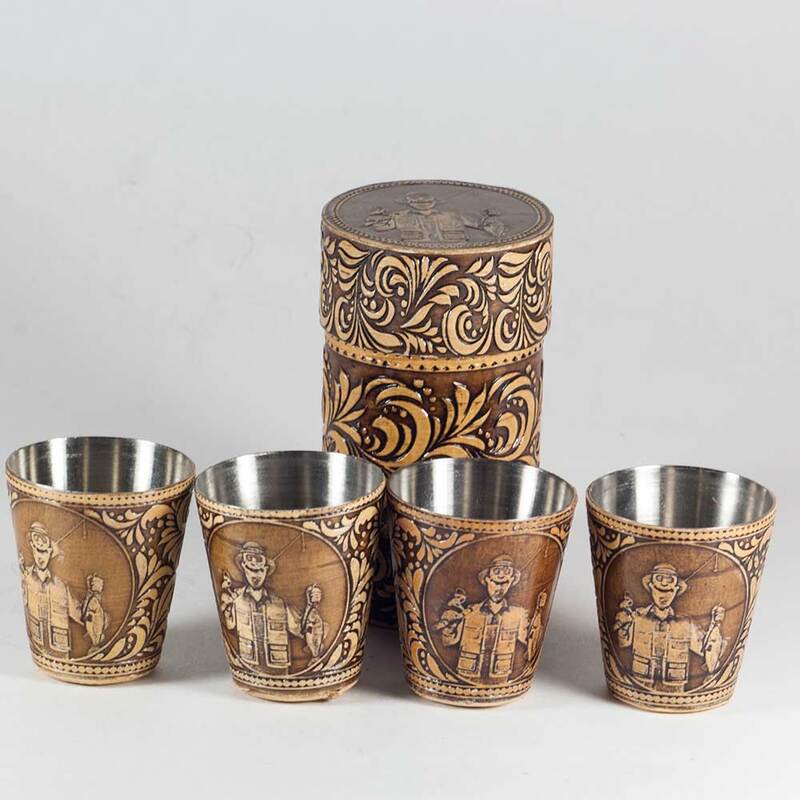 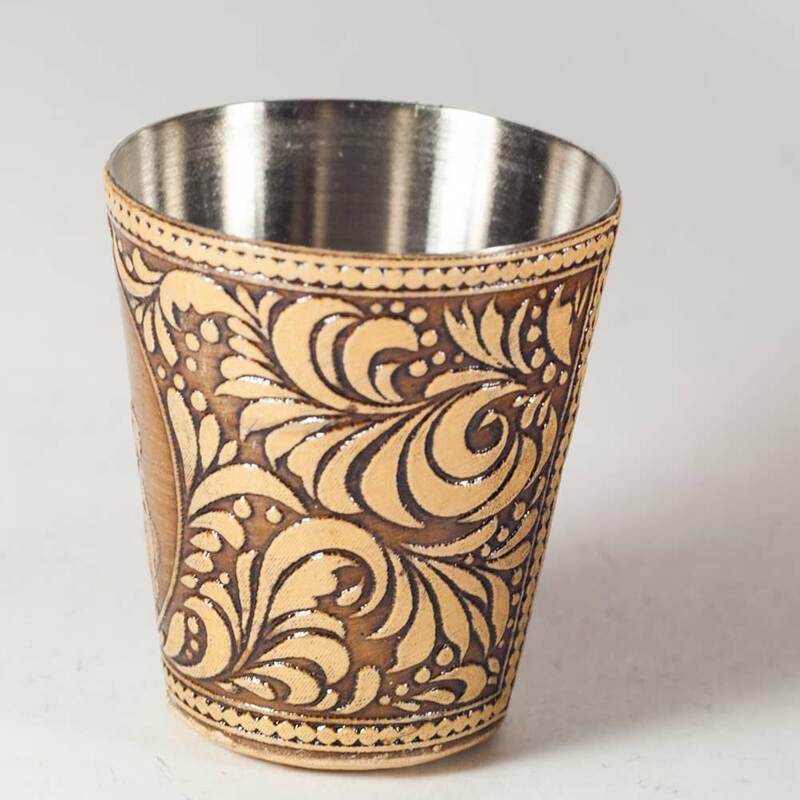 The glasses are made of stainless steel so you can use them to drink whatever people drink from shot glasses. 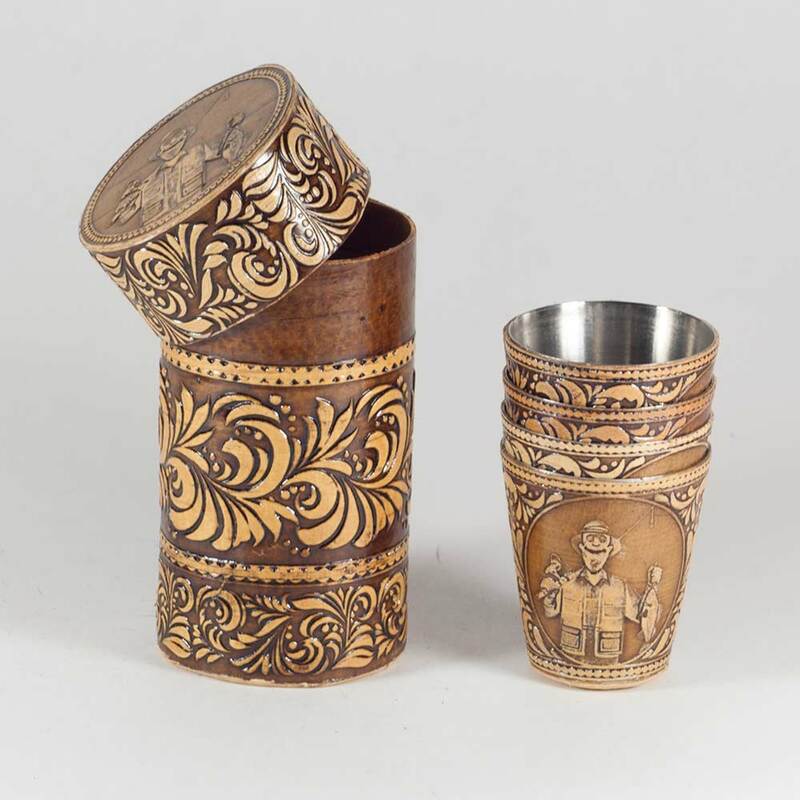 The case for glasses is made of birch bark with hand-made decoration.